The first Outdoor Adventure trip of the spring semester at California Baptist University took students to Mammoth Mountain Jan. 13-16 for the Martin Luther King Jr. holiday weekend. 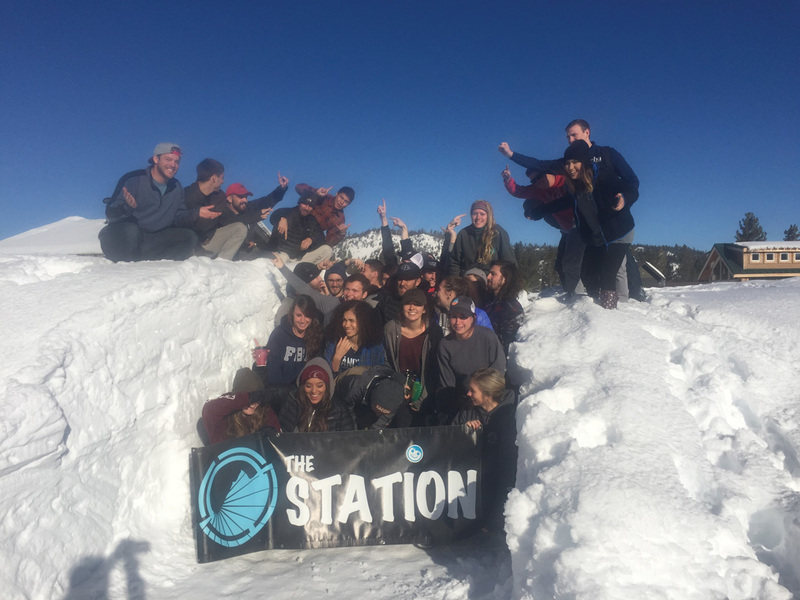 The trip gave students the opportunity to snowboard and ski for two days on the mountain while staying at The Station Camp, a non-profit youth camp, in Mammoth. Tucker Carter, program coordinator for Outdoor Adventures in the Community Life Office, said Mammoth is one of the more popular trips offered and sold out the morning sign-ups were opened to the students. The trip had a total of 30 students and four professional staff members from Community Life. doing something with friends and peers that she would not do every day. Other than snowboarding and skiing, the students ate meals together, played games and got to know one another during their down timethroughout their stay. Danny Burger, junior film studies major, said the trip had a great group of students and staff that made it enjoyable for everyone and the staff members of The Station Camp, were friendly, which made them feel like they were at home.